Massimo Salafia earned his degree at the Engineering Trade School in Friedbeng, Germany and then worked as a Mechanical Engineer at Pheiffer GmbH, Faust GmbH and Gassella GmbH in Frankfurt, Germany. Mr. Salafia holds several intellectual patents on mechanical devices, and he brings his experiences to the Pre-Engineering Prototyping Lab at American Heritage. He has been a mentor for the FIRST Robotics Competition Team since 2009, imparting his knowledge with students to help them foster intellectual growth. His goal as an engineering teacher at American Heritage School and Robotics Camp is to share his passion for engineering and provide a learning environment where students feel safe, welcome, and motivated to be the next generation of problem solvers. Taiowa Donovan graduated with a B.S. in Early and Secondary Science Education and studied abroad at the London Metropolitan University, focusing on exceptional education and teaching the inner city child. His teaching experience includes the George Junior Republic Union Free School District; the Advent School in Boca Raton, where he taught science and served as Science Department Chair; and LeadAmerica High School in Boca Raton where he was Program Director of the Engineering and Robotics program helping to design the curriculum and manage the teaching staff. 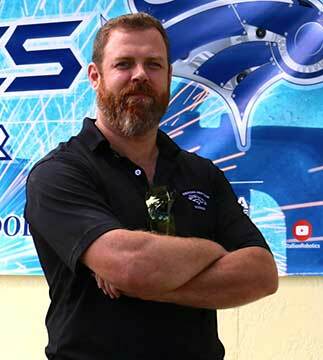 Mr. Donovan is currently the Heritage Robotics Program Director at the Boca/Delray campus, as well as the FIRST Robotics Competition Team Coach and Founding Mentor.